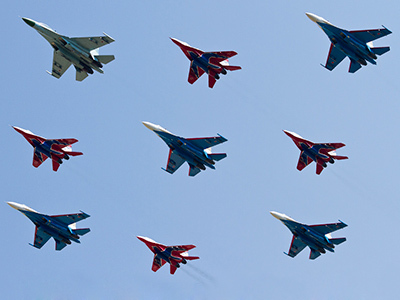 The 10th annual MAKS air show in Moscow, one of the largest air shows in Europe, will attract more than 800 companies, up to 700 thousand visitors and organisations from 40 states. 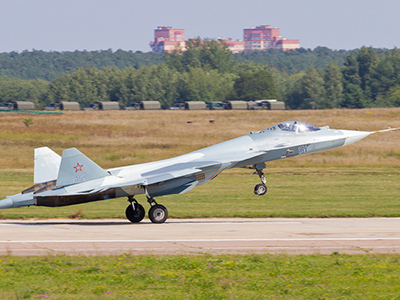 Vladimir Borisov, Avia salon General Director, says the total sum of MAKS 2011 contracts could exceed $10 billion. On the first day Russian airline Transaero has signed up to buy 8 Airbus jets, with a catalogue price of over $700 million. Christopher Buckley, Vice President at Airbus, says the Russian market is a key expansion opportunity for the European aerospace giant. Randy Tinseth, marketing vice president for Boeing Commercial Airplanes, says the world largest plane builder is also eying the Russian market and will continue to be committed to using Russia as a production venue, underpinned by long term investment. Russia's state run United Aircraft Corporation has announced a new plan to become a global player in civil aviation, starting production in 2020. 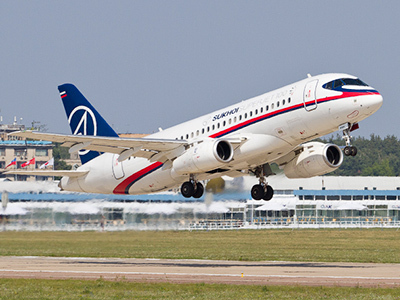 Following the success of the short range Sukhoi Superjet, UAC says it now intends to design and build a long range aircraft. This would be in direct competition with planes from Boeing and Airbus.